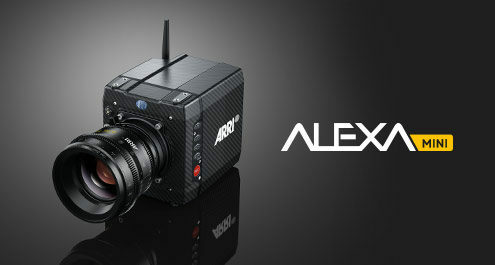 Compact, lightweight and self-contained, the ARRI ALEXA Mini is a versatile additional tool in the ALEXA camera range. Crews will find that the ARRI ALEXA Mini perfectly complements their ALEXA shooting kit, eliminating the complications of working with third-party cameras for specialized shots and keeping everything within a single system that is trusted all over the world. Operate the ARRI ALEXA Mini via wireless remote control, using the MVF-1 viewfinder, or while viewing an onboard monitor. Its small size suits it for use with gimbals, handheld rigs, or quadcopters and for multicamera shots, and in tight quarters. The lens mount is interchangeable, opening up a wider choice of lenses such as EF-mount still lenses. The ARRI ALEXA Mini can make use of ARRI AMIRA mounts, a boon for shooters working with both units. 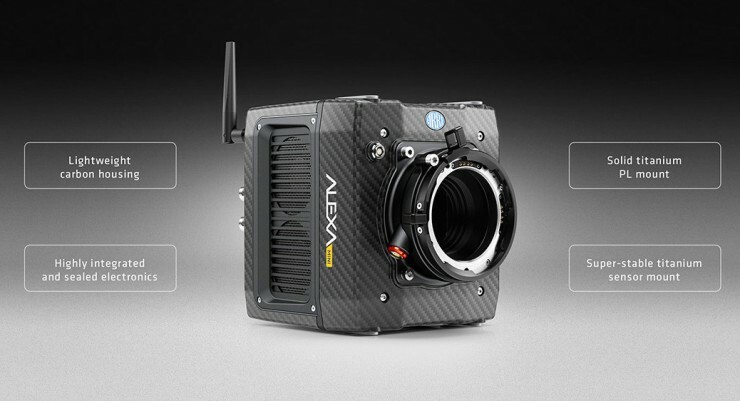 Using the power and large pixels of the 4:3 ALEV III sensor, the ALEXA Mini records up to UHD 4K ProRes images with the dynamic range, skin tones, and true-to-life colors for which ARRI cameras are noted. Recording in Open Gate and MFX/ARRIRAW formats requires additional, downloadable licenses (not included). Looking ahead to future standards, the wide dynamic range of the ALEXA Mini makes it suitable for HDR displays, and its 0.75-200 fps speed range can be used for increasingly-popular HFR (high frame rate) capture modes. ProRes 4:3 2.8K records the full 4:3 sensor area (2880 x 2160) and can be used with anamorphic or spherical lenses. 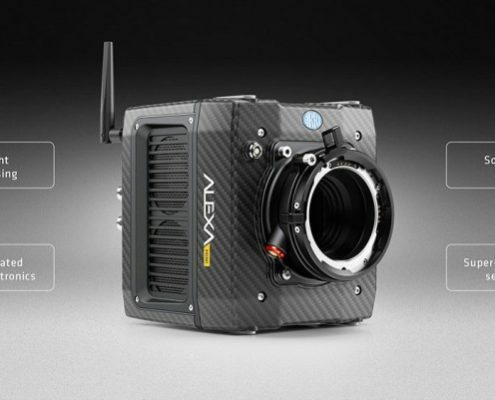 It offers frame rates up to 50 fps and an optional 2x anamorphic de-squeeze for the EVF and SDI monitoring paths. ProRes 2.39:1 2K Ana. records a 2.39:1 standard 2K format (2048 x 858), which does not require any cropping or scaling in post. Due to the in-camera scaling the data rate is reduced, allowing recording speeds up to 120 fps. ProRes 16:9 HD Ana. is for situations where the look of anamorphic lenses is desired but the end product is full 16:9 HD without letterboxing. This mode also supports recording speeds up to 120 fps. Internal MXF/ARRIRAW Open Gate recording Installing both the ALEXA Mini 4:3 License Key and the ALEXA Mini ARRIRAW License Key on a camera activates the MXF/ARRIRAW Open Gate 3.4K recording modes enabled by SUP 4.0. MXF/ARRIRAW Open Gate 3.4K has a resolution of 3424 x 2202 and a maximum recording speed of 30 fps. As with the ProRes 4:3 recording modes, an optional 2x anamorphic de-squeeze is available for all monitoring paths and a dual 1.5G or 3G SDI setup is supported.